Tom Proctor will be performing at the Red Creek Off Road Mississippi Mudfest taking place August 31-September 2, 2018 in Perkinston, Mississippi. Don't miss this incredible event! PERKINSTON, Miss. - Aug. 22, 2018 - PRLog -- Tom Proctor will be performing at the Red Creek Off Road Mississippi Mudfest taking place August 31-September 2, 2018 in Perkinston, Mississippi. Don't miss this incredible event! 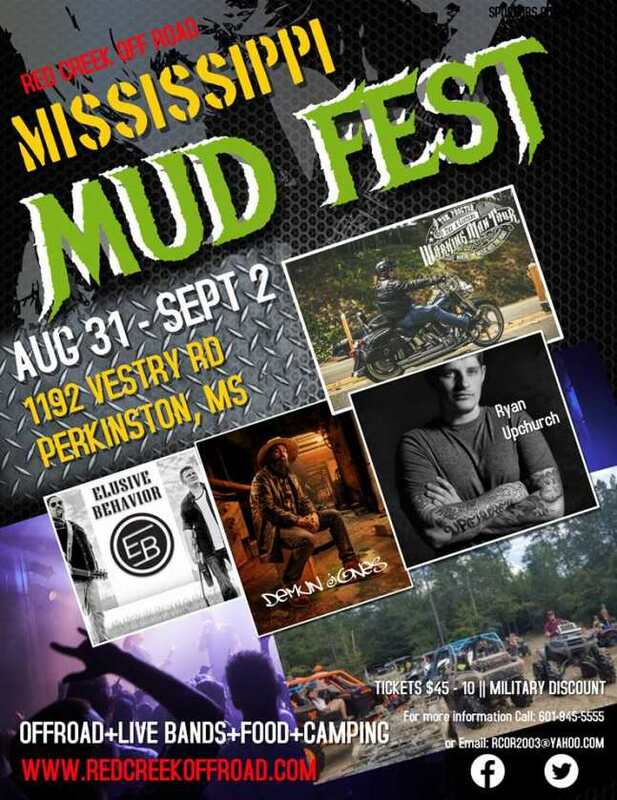 Mississippi Mudfest 2018 are bringing together Music and Mud, with performances by superstars Tom Proctor, Demun Jones, Ryan Upchurch and Elusive Behavior. This incredible event takes place over three days, with offloading, live bands, food and camping, an unbeatable combination. Tom Proctor is no stranger to the entertainment industry, as he is an accomplished actor/producer and stunt coordinator in the tv/film world. He can be seen in the Academy Award winning film "Twelve Years A Slave," the blockbuster Marvel film "Guardians of the Galaxy," in the hit television shows "Justified" and "Nashville" and many other great appearances on the big and small screen. He will be performing new music off his debut album "Working Man." Get your tickets for this amazing event today and have a blast in the mud. !